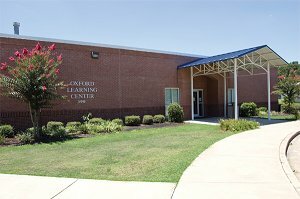 The Oxford Learning Center is a school for alternative education, grades 6 - 12. We strive to produce educated, responsible citizens who are capable of taking an active role in society. Through the individualized instruction and education plans, students,parents, and faculty collaborate to create a learning environment that offers high expectations and support. A commitment is made to provide a safe, structured environment that is conducive to helping students function in today's ever-changing society. Click on a headline for additional information. Demolition of the old Central High School at 409 Washington Avenue will begin in December to make room for construction of the new Oxford Elementary School. The Mississippi Department of Education released this week the statewide results from the 2017-18 Mississippi Academic Assessment Program, which shows achievement is continuing to rise among all student groups.